The meal will be catered. A donation basket will be available to help cover expenses. The menu will be baked chicken, roasted potatoes, green beans, carrots and a variety of desserts. We still need some volunteers to help serve, clean up and make a dessert. In 2018 United Christian Ministries had 10,423 client contacts; THAT IS 40 LESS CLIENTS THAN THE PREVIOUS YEAR. We are pleased that 40 clients from the previous year did not need our services again in 2018. One of our goals is to help our clients have sufficient resources and the ability to care for themselves. Seventy-one percent were over the age of 18. Twenty nine percent were children in the household. United Christian Ministries gave out more than 271,670 pounds of food. Four hundred fifty school break bags were delivered to our elementary schools in December. Our ministry also furnished 130 households with a turkey for their thanksgiving meal. Food donations were abundant during the year. Our ministry helped with electric bills for 243 families in the amount of $33,448.78. Thirty- four families received $4966.29 in heating assistance. Fifty- three families received help in the amount of $9918.50 to pay rent and prevent eviction. Forty- eight families received $1266.78 for medical assistance. Diapers/depends were given 186 times. Household items and personal items were given 2799 times; our ministry spent $2522.38 purchasing these items during the year. Many donations were also received during the year. One thousand five hundred forty-eight dollars and forty cents helped 28 families with their water bills. In addition to all the food donations, $19,046.86 was spent for food. Donated linens, bed covers, furniture, and kitchen items were also given to our clients. Six hundred twenty- six families were assisted with clothing. Two hundred eight individuals were first time clients to our ministry in 2018. THE LITTLE HOUSE AT 191 SKYLAND DRIVE HAS A BIG HEART THANKS TO THE MANY DONATIONS FROM ALL OVER THE COUNTY! Our annual Spring Church Conference is scheduled for after our meal on Wed., April 24th at 6:00 in MFC. During our meeting we will hear church and organization reports. Our new slate of church officers, committee members, deacons, and trustee will be presented. Looking forward to seeing you on the 24th. April 27th is the Greening Up the Mountains Festival. Please bring your baked goodies, homemade items, and plants to sell. Proceeds will go to the Raise the Roof campaign. RTR ALERT! There will be a rummage sale in the MFC on May 4th to benefit the Raise the Roof Campaign. Please bring your gently used household items to the MFC on Friday, May 4th. Please, no clothing. Thanks! I have very strong memories of Fred Rogers’ show. Each weekday afternoon, as a 4-year old, I would watch Sesame Street followed by ‘Mr. Rogers’ Neighborhood’ while sprawled out on the shag carpet in our living room. My mother would be preparing supper as I tuned in, and my father—as though on cue—would walk in from work and pick up where Mr. Rogers’ had left off. In similar fashion, my father would take off his sportscoat and change his shoes as he transitioned from his workday to being at home. Mr. Rogers sang as he swept across his living room on our television sets. My father, in contrast, seemed weary from the world and rarely in the mood for a song. Mr. Rogers’ became for my generation a co-parent and a guide, as it were. Like a good teacher or an effective pastor, Fred Rogers modeled for us civility and friendliness as we came of age. Fred Rogers was faithful to Christ’s commandment to love his neighbor as himself. He did so by choosing to be a good neighbor to everyone he could encounter. Mr. Rogers showed us a lifestyle of grace and quiet humility. He invited us in to his home and provided us hospitality each afternoon. His home was a place of welcome for everyone, and he allowed it be a place to ask questions and to consider weighty subjects. When needed, he would tell stories in parables and would speak truth with authenticity and gentleness. As such, he can walk through our doors anytime. Perhaps by hearing his story in full, we’ll have energy to be the kind of neighbor that he invited us to become. 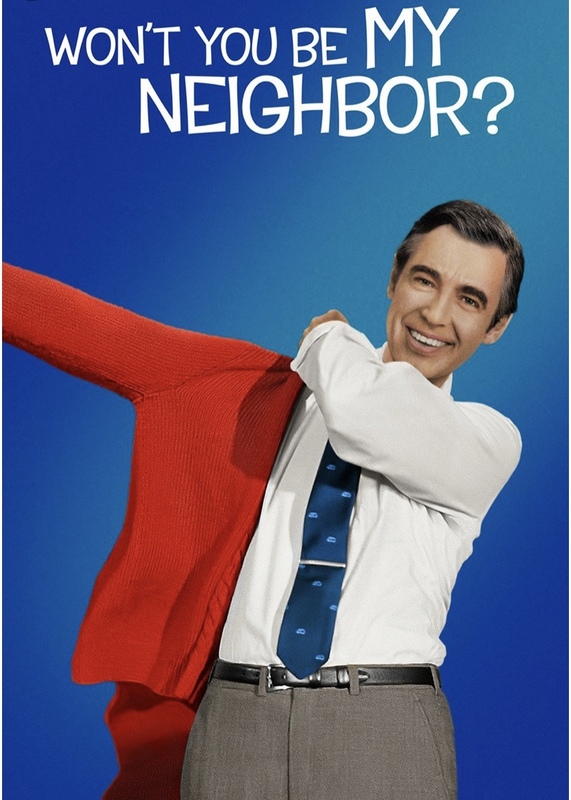 Join us during Adult Bible Study this Wednesday, April 17 and Wednesday April 24 in the Mission and Fellowship Center to watch the documentary about Fred Rogers, “Won’t You Be My Neighbor?” The movie documents Fred Roger’s desire to “Have Mercy” in his life and through his career. Celebrate the resurrection of Jesus Christ at the First Baptist Church in Sylva on Easter Sunday morning, April 21st at 10:30 AM. An Easter Egg Hunt for children will take place on our playground immediately following our service. Join us for worship on Easter Sunday morning at 10:30 AM as we rejoice in the Good News of the resurrection. As a tradition, on Easter Sunday, we decorate the cross on our front porch steps with beautiful flowers brought in by our congregation. If you would like to bring flowers to decorate with, please bring them to the foyer of the church before Sunday School, or bring them on Good Friday and leave them in water. 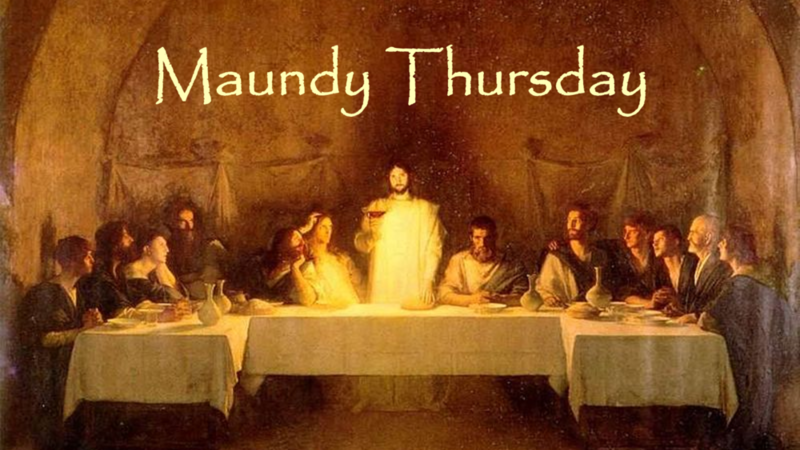 Join us as we commemorate the Lord’s Supper on Maundy Thursday evening, April 18, in the Gathering Place room at 5:30 PM. We will hear the old, old story of Jesus and his love, and will share communion with our family of faith. Choose to gather with us for this intimate experience as we remember Jesus’ life, ministry, and commandments. Childcare will be provided. Below is this year’s Church-League Softball Schedule. All games are on Monday nights at the Cullowhee Rec Park.